If you look closely you can see that they are also REVERSIBLE, bonus! For the base (pale green in top bracelet) you need double the length of your wrist + extra for knotting off the end or attaching the bead. 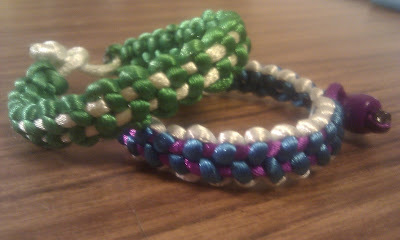 For the knotting cord (dark green in top bracelet) I used approx. 40 inches, didn't actually measure (my wrist is 6inches in length). One thing to note is that the videos do not include the length of cord/rope needed so you will have to use trial and error. 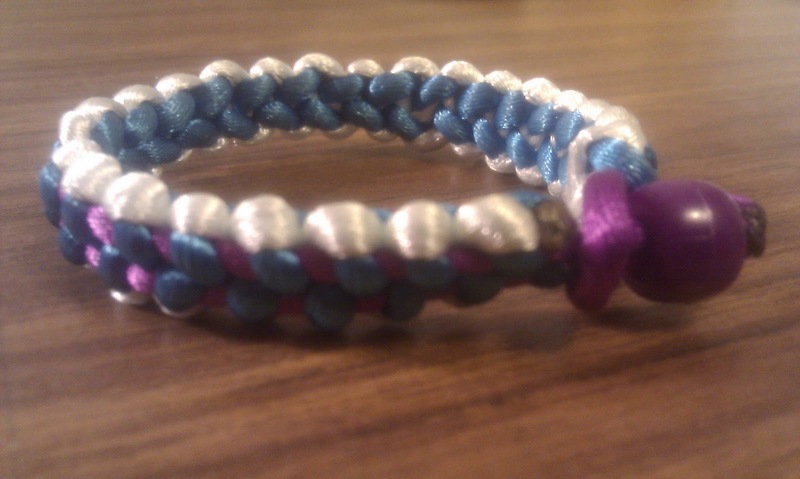 A simple and unique friendship bracelet = LOVE. Can't wait to experiment with different cords/ropes and try different knots. More bracelet DIYs to come! I love this... you did a great job!! !